The Edinburgh Centre for Carbon Innovation (ECCI) has announced that it is bringing Europe’s largest climate entrepreneurship programme Climate-KIC to Scotland for the first time. In a move that will further boost Scotland’s thriving low carbon business sector – worth almost £11 billion – ECCI will offer entrepreneurs in Edinburgh and across Scotland the opportunity to bid for thousands of euros and dedicated support to help them take their target markets by storm. – Accelerator: A three-stage accelerator process to get low carbon start-ups investment-ready. The first stage, Accelerator stage 1, gives fledgling companies access to €10,000 and a programme of expert support and events to help them translate inventions into business plans. Applications are now open and the deadline for submissions is Thursday 13 April 2017. – ClimateLaunchpad: The world’s largest cleantech business idea competition, with cash prizes of up to €10,000. Every year a certain number of start-ups win a slot to enter the Accelerator. Applications are now open and the deadline for submissions is Sunday 28 May 2017. – Greenhouse: Tailored support programme and funding of €5,000 for budding entrepreneurs who have a climate change-related idea but are not yet fully ready to make it happen. To be launched later in 2017 – keep an eye on www.edinburghcentre.org for updates. 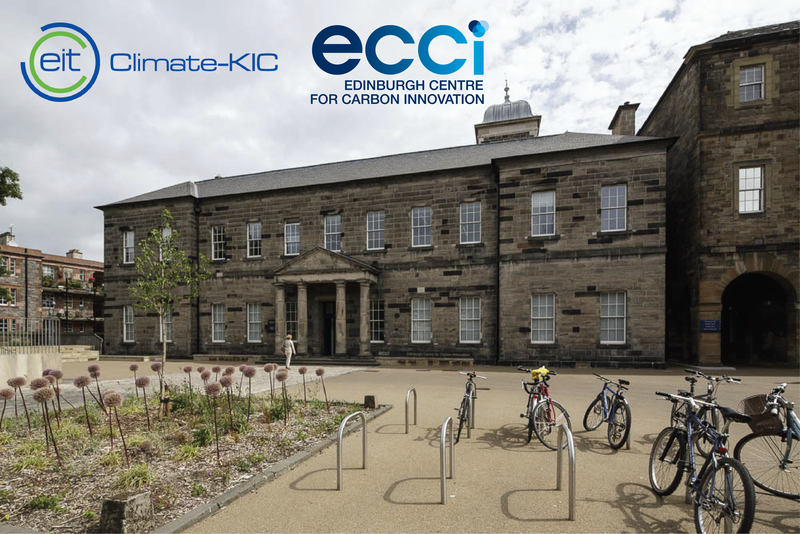 ECCI, with an award-winning hub in central Edinburgh and a base in Hong Kong, brings together people from business, research, communities and governments to turn good low carbon ideas into reality. It supports a thriving community of low carbon enterprises and provides policy insight and evidence to inform government decisions. The centre will be at the heart of one of four climate-focussed innovation ‘clusters’ in the UK and Ireland supported through Climate-KIC’s programme of start-up support and innovation programmes. The Edinburgh cluster will focus on emerging strengths in data innovation as well as the twin themes of rural and water innovation – although ECCI welcomes applications for the above programmes from entrepreneurs with low carbon ideas on any theme.